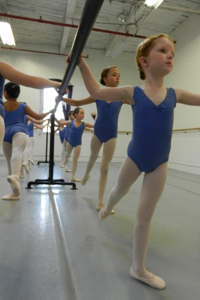 White River Ballet Academy is proud to offer the American Ballet Theatre® National Training Curriculum, a breakthrough, nine-level program that combines high quality artistic training with the basics of dancer health and child development. 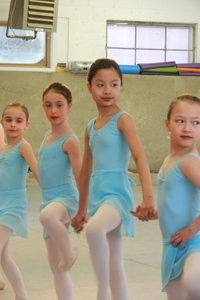 The ABT National Training Curriculum consists of a comprehensive set of age-appropriate, outcome-based guidelines to provide the highest quality ballet training to dance students of all ages and skill levels. Class placement is at the discretion of the instructors. Advancement through the curriculum is based on many factors including a student’s strength, physical development, effort, mastery of material, maturity, attendance record and artistic development. The most important factor is the student’s ability to safely execute the required class material. It is not unusual for a student to repeat a level of the curriculum. Most of our students will repeat a level at some point in their training. It is critically important that students advance at their own rate so they master the work demanded of them, avoid injury and achieve their fullest potential. Rudimentary classical ballet terminology is introduced along with developmentally appropriate exercises that emphasize gross motor skills, correct alignment and body placement, sensitivity in the fingers, arms and hands and improvisation exercises that nurture artistry and musicality in the very young child. Building stability through movement in the center is essential at this level. The joy of dance with the use of imagery, pathways and terminology is learned. 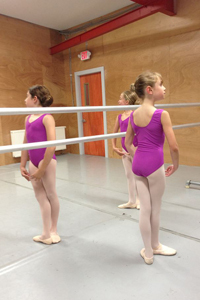 Barre work is introduced at age 8. An introductory level class for students. This class meets 1 to 2 times a week typically in the late morning hours. Schedule for 2018 is not yet determined. Email if interested. Students continue to improve and strengthen body awareness, alignment and technique while adding more relevés, center work, jumps and turns. This class places emphasis on developing a strong back and core, fully stretched legs and a stable demi-pointe. Pointe shoes are awarded once these goals are reached and upon teacher’s evaluation. 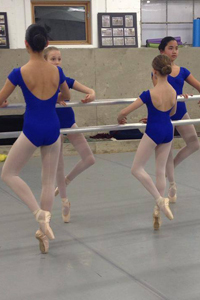 Pointe work is the main focus of this class as well as continuing to refine technique, correct posture, placement and the 10 principals of classical ballet. 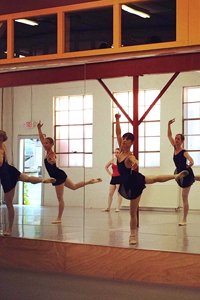 Advanced movement is introduced focusing on battu and complex turns in the center as well as classical ballet variations and the 10 principals. These classes are offered on a drop-in basis with no pre-registration required. Students sign in and pay before each class or purchase a class card – 10 classes for $160. Class cards are valid for three months and are non-transferrable and non-refundable. This is a strong, intermediate level class. 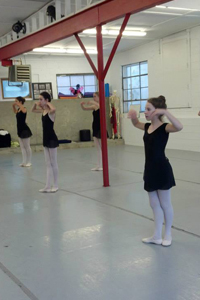 It is recommended that you have at least 5 years of consistent classical ballet experience. Adult students that commit to regular, bi-weekly class attendance and additional rehearsal time may be eligible to participate in the annual spring performance, if interested. ABT’s National Training Curriculum is a program for the development and training of young students that embraces sound ballet principles and incorporates elements of the French, Italian and Russian schools of training. 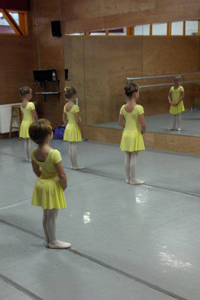 Our high quality of instruction flows from our depth of ballet experience. We were students of ballet who grew up to dance professionally and teach and choreograph at a national and international level. 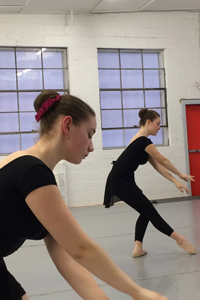 Our resident choreographers create original ballets that integrate dance, music and art. These incredible shows invigorate our dancers and expand their abilities in a way unmatched by classical shows.